The primary aim of the introduction is to introduce the topic. Usually, the topics of dissertations are very complex in nature. The complexity of the topic needs to be simplified briefly so that the reader does not get jitters merely looking at the topic. Gaining the interest of readers is another important purpose of the introduction. In order to acquire the reader’s attention, contemporary examples from some recent news or everyday life can also be used. The study, which would be conducted by the scholars, even though relevant, also needs to be demonstrated. The scientific and practical relevance of the research also needs to be highlighted in a concise manner, without using much of a jargon. If you are still unable to discern the motive of introduction, you can always go through dissertation introduction examples on our website My Assignment Services UK. Moreover, the structure explained below will also enlighten you in this regard. 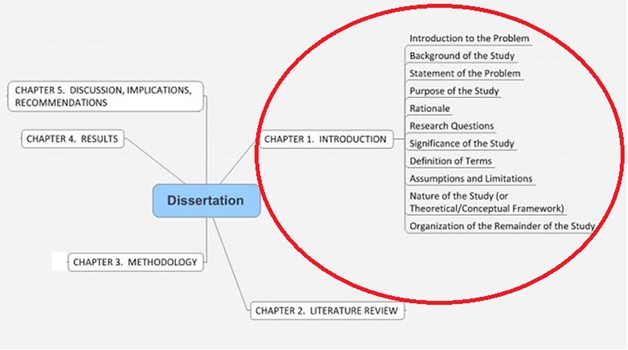 What is the Dissertation Introduction Structure? This is the most common question for a student in his/her university years. Every academic document has some prescribed structure, in case of dissertations even the components of the document has to follow set guidelines. Therefore, introduction, being a component of the dissertation, needs to adhere to a structure, failing which can cost you your academic document. The guidelines are not just mandatory for masters or Ph.D. but also, for undergraduate dissertation introductions. Let us have a look at the structure with the help of this image. Including all these components, you have to briefly describe how your dissertation is constructed. Each dissertation introduction chapter/heading needs to be summarised in one paragraph at the most, but preferably in one sentence. 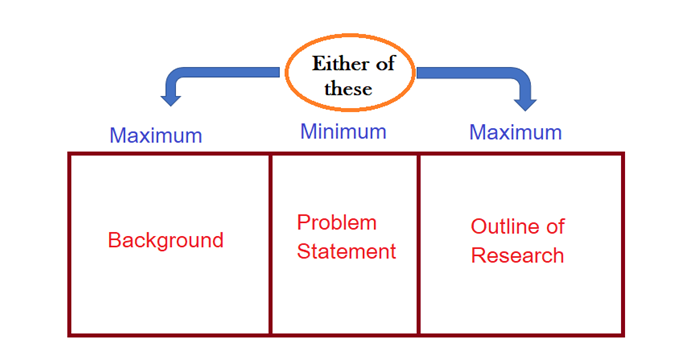 The background of the of the study forms an integral part of the introduction, so does the problem statement. The assumptions and limitations also require a brief overview in the introduction section, therefore, it becomes important to understand them first and accordingly condensed the same in simple words. The length of the dissertation should not be more than 10% of the total length of the dissertation. This proves that extreme care and watchfulness must be maintained while writing an introduction. Therefore, having a clear outline of your dissertation is essential even before starting the introduction. The dissertation introduction outlines the whole dissertation in a simple and uncomplicated way. Therefore, complex as well as compound sentences must be avoided. The background study takes the most part of the introductionand problem statement the minimum. The length of highlighting the approach to the research varies from question to question. In some cases, where the research is undertaken on multiple aspects, only the important ones are mentioned. If we are still not able to answer your query of how long should a dissertation introduction be, then you can always consult our experts on a live session. In addition to this have a look at some of our tailor-made dissertation introduction samples easily available on our website. Why Are We Market Leaders in Dissertation Writing Services? Our trusted dissertation writing services have served the students of numerous Australian universities as well as many universities across the World. Our ability to provide each time with a flawless dissertation is not just limited to writing style or our knowledgeable dissertation writing experts. We also handle each portion of your dissertation with equal attention be it introduction or literature review. Our team of Ph.D. experts has successfully written thousands of dissertations up till now.They are well aware of all the minute detail that should be included to make your introduction appealing. The well-structured dissertation introduction template is imprinted in the minds of our experts due to the plethora of dissertation they come across on regular basis. We maintain the promise of zero-plagiarism for all your assignments and dissertations. In order to come up with original content our expert panel research and update themselves with all the recent happenings in the field. Moreover, we also use advanced plagiarism-detection tools to evaluate your each and every component of your dissertation including the introduction. 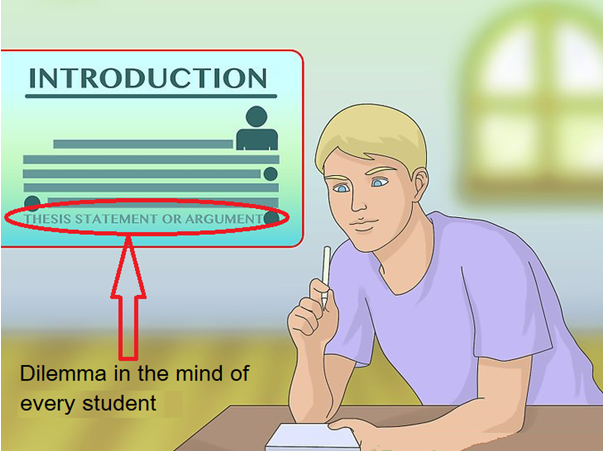 Unlike most writer or students, who tend to overlook the plagiarism in the introduction section, we maintain a proper dissertation introduction checklist that has zero plagiarism written on the very first point. Our timely submission has earned us accolades of all our customers. Their testimonials and feedbacks are ours to cherish and boast. You can also try and judge us by availing our affordable services once. We guarantee you will visit us the next with a new assignment. We also offer unlimited revisions, which is a bonus for you. So, what are you waiting for? Call us or email us today. We are available 24/7 at your service.